Just 10 minutes from Charlotte Motor Speedway. The self-guided tour of the museum is a unique experience. You’ll see historical photos, trophies, race vehicles and educational sponsor displays. Racing sights and sounds can be seen and heard from inside the theater. 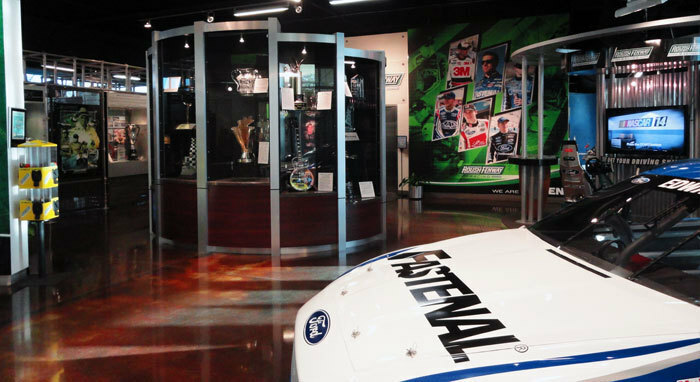 Before leaving, browse through the store to find your favorite driver’s exclusive line of Roush Racing apparel, merchandise and award-winning die-cast.